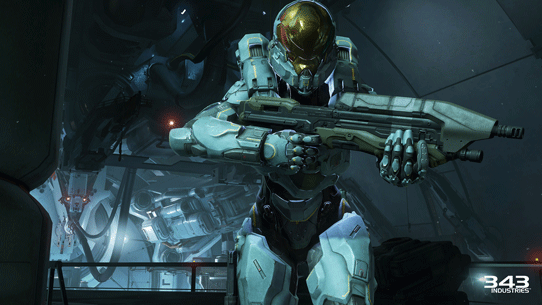 Halo 5 is all about co-op, says 343 Industries. Halo 5: Guardians isn’t going to have local splitscreen co-op, but 343 Industries has designed it specifically for a drop-in, drop-out online co-op experience – which means you’ll always have some AI companions trotting at your heels. “At its core, Halo’s campaign was originally built to be a single-player experience, first and foremost,” 343 boss Josh Holmes wrote in a new Halo Waypoint blog post. 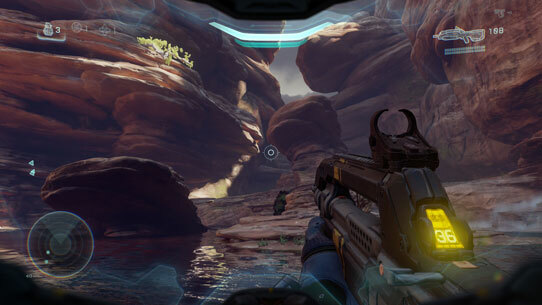 Holmes explained that Halo 5 has two distinct campaign modes – solo and co-op – each with their own save file. 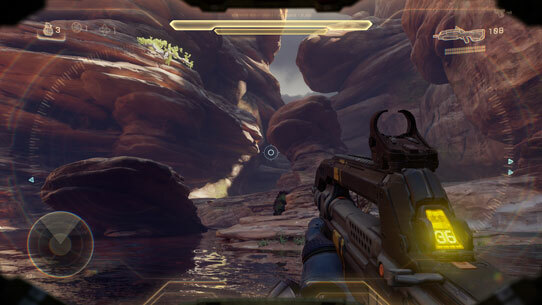 In both modes, there are always four Spartans present; the shooter has been tuned for play with a fireteam of four at all times. If you choose to play in co-op mode, you take on the role of Master Chief or Agent Locke, and your buddies can drop in and out at any time without interrupting your experience. Co-op buddies select which of the three AI teammates they’d like to take over from. When playing solo, Master Chief and Locke can give contextual commands to guide AI Spartans, who will otherwise be totally autonomous. One of the available commands is “revive”. If a character can’t be revived due, they will respawn when a team member reaches the next checkpoint. 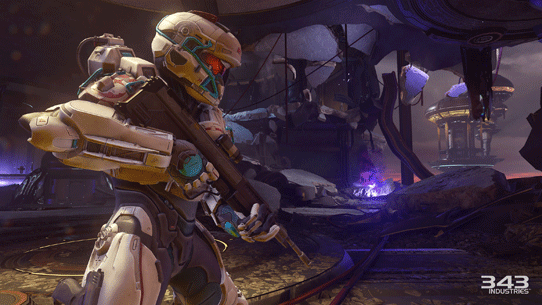 There are two full teams – Master Chief’s veteran spartans and Locke’s comparative newbies. Players will alternate between the two teams as they progress through the game. The characters have been designed to be visually distinct and even have different UIs; see the screens at the base of the page for examples. The presence of these fellow Spartans will allow 343 to tell a story about Master Chief as a human rather than a lone killing machine, apparently. The decision to remove split-screen support from Halo 5: Guardians was one of the most difficult ones we’ve ever had to make as a studio. We know that for many of our fans, Halo has meant playing together with friends in the same room. We all have great memories of past Halo split-screen multiplayer matches. To move Halo’s gameplay forward and deliver a true next-gen experience, tough choices had to be made. Our decision was driven by a desire for scale, fidelity and focus to ensure that we would deliver the best quality experience possible. Many of our ambitious goals for Halo 5 would be compromised in a split-screen setting and the time spent optimizing and addressing split-screen-specific issues would take focus from building other parts of the game. Game development is a balancing act of resources, time and technology, and in this case we made the tough decision to sacrifice something that’s been near and dear to us all. Halo 5: Guardians is an Xbox One exclusive due on October 27.